She will be reading her poetry as part of the Thacker Mountain Radio show at Rowan Oak. A lifelong vocalist, Effie Burt was born and raised in Oxford, Mississippi as one of twelve musically gifted siblings. Effie has been performing since the age of 13 with her family at churches and local musical events in Mississippi and Tennessee. An international artist, Ms. Burt has performed on stages from Beale Street to Montego Bay, Jamaica. Although jazz is her first love, Effie is just as engaging belting R & B, soothing with the Blues and bringing it home with gospel. Her range is illustrated by her experience from a featured vocalist with the Cedar Falls/Waterloo Symphony Orchestra’s “Annual Christmas Pop’s Concerts” to a headlining performer at the International Jazz Festival in Jamaica. Effie has also performed at the Annual Jefferson Jackson Democratic Dinner, which was aired on C-SPAN as well as at a number of high profile events for political dignitaries such as Senator Tom Harkin, Governors Tom Vilsack and Chet Culver, Former-President Bill Clinton and President-Elect Barack Obama. A composer as well, Ms. Burt wrote the theme song, “I’ll Make Me a World in Iowa” for the 2000 statewide “Make Me a World in Iowa festival”. IOn Feb 27, 2006 this song was named Iowa’s 2nd official state song. Other songs composed by Ms. Burt are; “Let the Blues Walk on By” and “Tell Me”, which both appeared on Bob Dorr’s Blues Compilation Album. In 1999, Effie released her first original gospel song “Written Amongst the Tears” to accompany the novel of the same name by author, Beverly Johnson. Soul, jazz, and rock saxophonist, vocalist, and flautist Hope Clayburn is on a mission to move the people. She’s always up to the challenge to make every audience member feel included in her energetic shows and leave with a little more sweat. Hope’s funky saxophone and flute chops mixed with her soulful rock vocals have allowed her to perform with an eclectic mix of artists, including James Brown, The Allman Brothers Band, and The Temptations to name a few. Hope has performed around the world from Brazil to Vietnam and she also appeared on the iconic music TV show Austin City Limits and at Red Rocks Amphitheater in Denver, CO backing up rising star Valerie June. You can now find Hope in Memphis, TN recording and performing with her ensemble Hope Clayburn’s Soul Scrimmage. Their music combines funky James Brown and Funkadelic like grooves with Memphis Soul, world beat, rock and jazz to create an energetic and unique Memphis sound. When she’s not performing, you can find Hope as a trauma ICU nurse at The Elvis Presley Memorial Trauma Center in Memphis, TN. She combines the power of music and medicine to heal both body and soul. Hope and Soul Scrimmage are currently featured on PBS television show 'Sun Studio Sessions' that is broadcasting nationwide and also were honored to be a featured artist with The Memphis Symphony Orchestra as a part of the ‘Opus One Series’. The band just finished recording their new full-length album called ‘ Y’ALL SO LOUD’ at historic Ardent Studios in Memphis to be released this spring/summer 2019. Hope Clayburn’s Soul Scrimmage currently features Robert Allen Parker on guitar, Khari Wynn on guitar, Daniel McKee on bass, Paul Taylor on drums, Victor Sawyer on trombone, Shayla Jones on trumpet and Mike Sweep on keys. She will be performing as part of the Thacker Mountain Radio show at Rowan Oak. In the fall of 1968, four friends formed the gay carnival Krewe of Armeinius in New Orleans. Wendell Stipelcovich, Don Stratton, Jerry Loner, and Scott Morvant, chose the name Armeinius, because of its connection to Greek mythology and queer history. Costumes were designed and built in four months thanks to the group’s devoted friends. The first Armeinius ball in 1969 was themed "Year of the Queen" - a prophetic mantle, as the Stonewall Riots and the beginning of the gay rights movement were just a few months away. For decades the safety of the Krewe and its members depended on its secrecy and exclusivity. With the push for equality comes visibility, and in the last decade the Krewe has expanded its mission to include education and historical preservation. The organization is committed to sharing the traditional art of gay Mardi Gras costume creation and history with others. The social club has collected and archived its history with the State of Louisiana, which has become one of the largest gay historical archives of its sort in the country. Michael P. Bibler is an associate professor at Louisiana State University. His research and teaching focus on representations of sexuality, race, and gender in 19th and 20th century American literature and culture, particularly the literature and culture of the U.S. South. His current book project, tentatively entitled Possessive Intimacy: Property, Sexuality, and Southern U.S. Slavery, looks back to the biracial literary archives of the antebellum South to understand how queer forms of desire and eroticism are connected to issues of property and the property both slavery and “traditional” marriage. 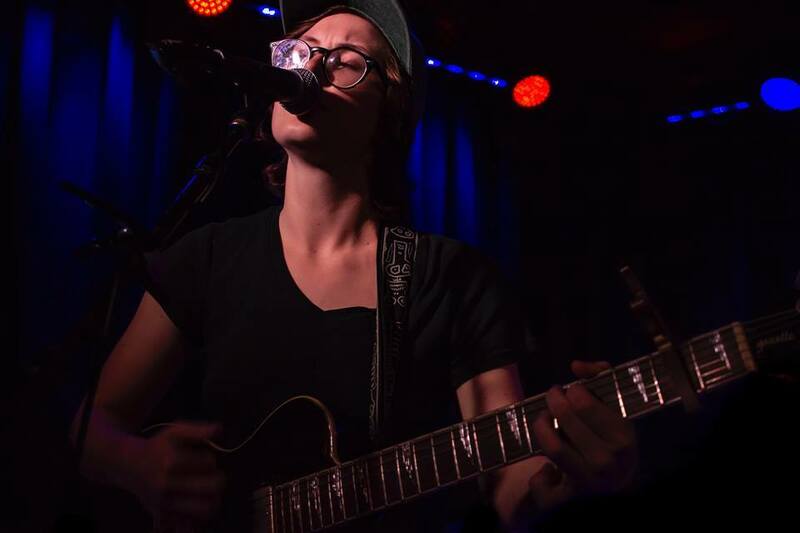 Mattie Thrasher is a Mississippi native, musician, writer, and an environmentalist. She graduated from the University of Mississippi this spring, where she studied Psychology, English, and Environmental Studies. She released her first LP We Are Miscommunication and Stardust in 2017. Nancy Maria Balach is a versatile soprano who has appeared throughout the United States and Europe performing opera, operetta, musical theatre, concert works, cabaret, song recitals, and chamber music. Born in Pittsburgh, PA, she has lived in many parts of the United States, but finally found her “home” in the great state of Mississippi with her husband and three children. Nancy Maria has been on the music faculty at the University of Mississippi since 2000 teaching applied voice, pedagogy, diction, vocal methods, as well as freshman seminar for the Sally McDonnell Barksdale Honors College. She has achieved recognition with her many research projects presenting on the international level at the Phenomenon of Singing Symposium in Newfoundland and the Hawaii International Conference on Arts and Humanities, and numerous national conferences of the National Association of Teachers of Singing, National Opera Association, and the College Music Society. Nancy Maria utilizes her experience as a performer and educator as creator/artistic director of the University of Mississippi’s Living Music Resource™. She is making Oxford a center for music research through interactive and innovative events. Current UM music students work closely with Nancy Maria learning skills that enhance their programs of study and make them more marketable in today’s world of music. LMR focuses on the Integration and Exploration of Musical Styles, Community Connections, Arts/Culture Impact on Economy, Unexpected Collaborations, Music Entrepreneurship, and the Involvement of Ole Miss Alumni. She is dedicated to bringing acclaimed professionals to MS (including Grammy Award recipients Pulitzer Prize winners, and performers from Broadway to The Metropolitan Opera), as well as showcasing Mississippi artists for Innovative Programming.